Neither his centre-left Social Democrats nor the main centre-right party is likely to win a majority. The anti-immigration Sweden Democrats (SD) is expected to win around 20% of the vote, becoming the second biggest party in parliament. 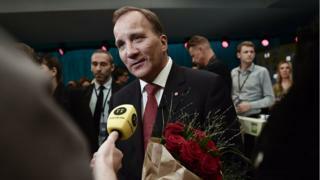 Mr Lofven said an SD vote was "dangerous" and "counterproductive". He said it was "like trying to quench fire with alcohol", according to the Omni news site. Immigration has been a central issue of the election campaigns. The nationalist SD doubled its seats in the 2014 election and it is predicted to double them again on Sunday. 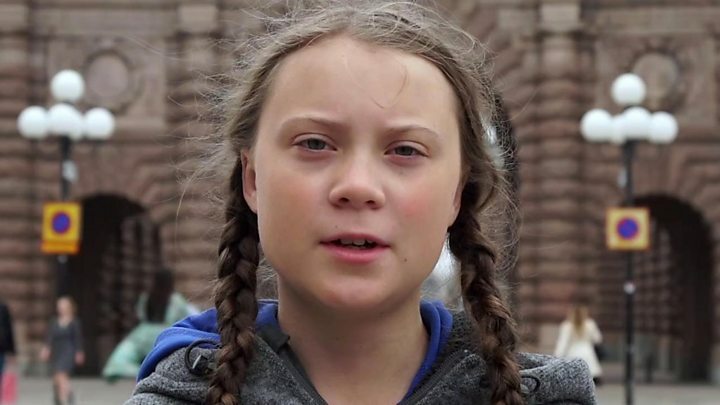 On Saturday, SD leader Jimmie Akesson said Sweden had been "an extreme country in many ways, not least when it comes to immigration" and that his plan to take in fewer migrants would be regarded as "normal politics in the rest of Europe". Traditionally appealing to working-class men, it wants to attract more women and more educated and higher-income voters. Mr Akesson, who became leader in 2005, says there is zero tolerance towards racism in the party and several members have been expelled.